This week’s highlights include a sampling of everything from the blues to blue cheese. 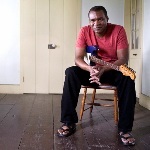 The Robert Cray Band performs at the Sooner Theatre on Main Street in Norman October 6th. The concert begins at 8 p.m., and will feature Cray’s innovative blues style. Robert Cray was recently inducted into the 2011 Class of the Blues Hall of Fame. The OU School of Art and Art History hosts Alec Soth for a guest lecture this week. On October 6th, the photographer speaks at the auditorium of Fred Jones Jr. Museum of Art on the University of Oklahoma campus in Norman. Soth’s work has qualities of cinema and folklore, and his career includes publication of four books. He has photographed for The New York Times and his work can be found in the San Francisco Museum of Modern Art. The University of Central Oklahoma Theater Arts Department presents its adaptation of Moliere’s “Tartuffe” this week from the 6th through the 8th. The play is a satire of religious hypocrisy, and guest director Timothy Mooney adapted it for the production. “Tartuffe” is part of UCO’s “Passport” program, in which a country is selected to celebrate during the fall semester. October 7th and 8th bring the Watonga Cheese Festival back to downtown Watonga. The festival was created in 1976 when Watonga had the only cheese factory in the state. “Cheesy” activities include a Cheese Tasting Line, a Merchant Cheese Tour, and a Cheese Food Contest. The festival also features a Watonga Cheese Festival Arts Show, quilt show, classic car show, carriage rides and a parade on Saturday. Other points of interest this week include the Media Ethics Conference, performances at The Opolis in Norman, and the OKC Tree Give Away. Our calendar page has even more events for the upcoming week.